Why? It’s because with over 2 million posts being dumped online every single day, readers, more often than not, skim or skip the post. The result? Zero readers. Zero comments. Zero leads. Zero Conversions. So, why write posts when readers aren’t interested in reading it? Why sacrifice quality at the altar of quantity when your everyday posts are not generating any traction, anywhichways? Yes, I heard you. You are writing for Google spiders. If not, here are five 5 amazing ways to make your post incredible to the point that it makes the reader Gasp and Cry… two essential emotions to attract and accelerate traffic on your blog pages. According to Stateswoman and Israeli Prime Minister Golda Meir, it is always much easier to make people cry or gasp than to make them think. So, it’s not as daunting a task as you might think. Let’s admit it! Bloggers are consummate hackers. We hack a post in no time. Publish it in no time. And even market it in a matter of minutes. We believe in investing just 20% of our time creating content and 80% of our time marketing. The result: The same old recycled stuff that no one gives a darn. Unsurprisingly, cut flowers tend to have a longer lifespan than your blog post these days. Apparently, this won’t work, says author and marketer Ryan Holiday in his bestseller “The Perennial Seller.” According to Holiday, “writers are supposed to invest 80% of their time writing content and just 20% of their time marketing their craft.” That’s how you generate meatier posts that attract eyeballs. Even Google spiders, for that matter, favor posts that have got substance over form. They prefer long-form content. More importantly, they want you to stand on the shoulders of giants by linking your posts to solid stuff such as ebooks, whitepapers, top-tier websites and more. More than anything else, they want your posts to add value to the life of readers. In short, Google loves action-packed masterpieces. And, as you know, action-packed pieces are not created in one stroke. You may have to create several drafts for the same posts, before finalizing the content. For the starters, Markus Zusak rewrote “The Book Thief” almost 200 times. Long story short: Rewriting is the essence of writing. Perhaps, unsurprisingly, the best of the bloggers generally post once every month to six weeks. An alligator wrestler? Yes, you read that right, an alligator wrestler. 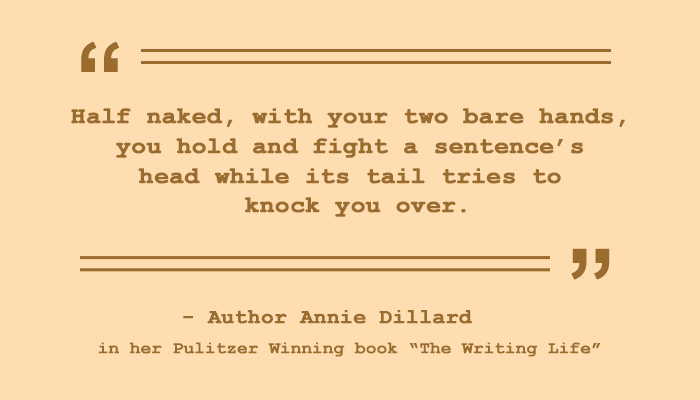 Author Annie Dillard, in her Pulitzer Winning book “The Writing Life” aptly uses the analogy of an alligator wrestler to describe the struggle a writer goes through while sculpting a perfect sentence. Did that stop you short? If you ask me, it literally blew my mind away. Good God! Wasn’t that sheer verbal acrobatics. Sure enough, it wasn’t your typical flash-in-the-pan type of a sentence. And, I can definitely bet, the writer painstakingly conjured it up by showing the door to piles and piles of simple words until the powerful ones showed up at Dilliard’s door. Generating blog posts in a jiffy won’t give you the liberty to create such classic, Pulitzer winning stuff. Even American novelist Ernest Hemmingway’s understated and economical style could be attributed to his quest for finding the perfect word that fits well with the copy. Here’s a gist of the interview that Hemmingway gave to “The Paris Review” that perfectly mirrors his tireless attitude toward nailing the right word. Hemingway: It depends, I re-wrote the ending to “Farewell to Arms”, the last page of it, thirty-nine times before I was satisfied. Long story short: Make your post pulse with life by stringing in the perfect pearls. I remember reading the book “The Kite Runner” by Khaled Hosseini and crying my heart out. Nope, not all fictional books invoke the same effect. Only a few writers have the ability and acumen to bring on that kind of effect. 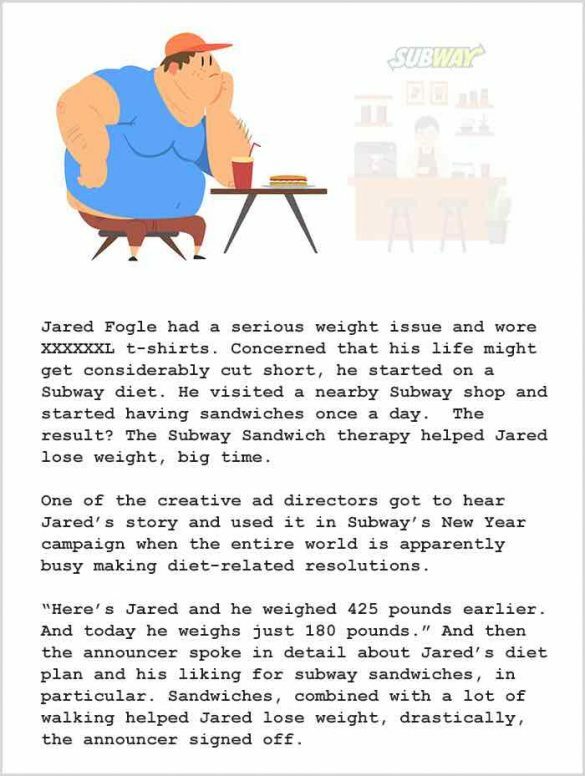 In short, a great story does all the heavy lifting for a post. For instance, you could read master storyteller Jon Morrow’s post “On Dying, Mothers, and Fighting for Your Ideas,” on Copyblogger and you will know precisely what I am talking about. Right from the headline to the bottom line, Morrow knows how to keep the readers hooked. New York Times Bestselling authors Chip and Dan Heath’s book, “Made to Stick” deals in several examples of powerful storytelling that could make readers gasp and cry. Sure enough, the campaign became a super duper success. Think about it a little! Have you ever thought of weaving in such great story ideas to your blog post? Sure, it requires a lot of groundwork and brain racking. But then, only if you could put in that kind of effort, your blog could manage to garner those elusive gasps and cries. If anything, turn the story idea on its head. Sounds counterintuitive! This will automatically force the readers to pay attention to your blog. Sometime back I’d had written a post for Searchenginepeople: Content First: An Enemy of Design First. This was supposedly a counterintuitive post because I found there were umpteen posts proposing Content First as the go-to strategy for web design by several experts. So, I turned it around and said how Content First strategy is proving to be a disastrous strategy for websites. A brand-new post spun from an old, clichéd stuff. The idea struck a chord with the editor Ruud Hein. Everyday blogger and software developer Burak Bilgin has crafted a smart formula to generate counterintuitive posts. Come up with ten concepts. For each concept, write ten words or sentences. Write down the opposite of each word or sentence. Try to find a relation between the initial concept and the opposite word or sentence. If you can, you have your blog topic. If you can’t, try to come up with ten new words or sentences that are related to each word or sentence you have found on step 3. Keep doing this until you find your counterintuitive argument. Readers are connecting with your content not only through your text but through your images as well. As per a study conducted by Blog Pros, of the 100 highest ranking blogs on the internet, there’s at least one image for every 350 words. Long story short: It’s essential to break the post at several places to embed images and videos. There you go! 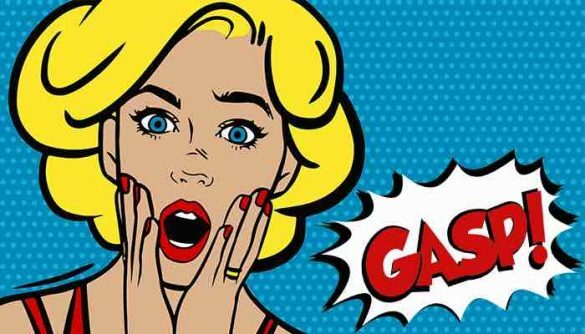 Five incredible strategies to make your readers gasp and cry! Sure, there will be other amazing strategies as well that could help you strike-a-perfect chord with the readers. Let us know in the comment section. Author bio: This post was written by Jennifer Warren, staff writer at GoodFirms – a review and research platform for top digital marketing companies, content marketing companies among many others. A bookworm at heart, she has successfully guest blogged for top sites such as Crazyegg, Semrush, Searchenginepeople, Sitepronews, Volusion.com, Socialnomics, jeffbullas, mediapost among others. Now it is very important to catch the attention of your reader from the first lines of your text. Writing an article for a blog is a simple task at first glance. But in fact, to submit high-quality content you need to conduct a lot of research and make a lot of effort. Your recommendations are very cool, they are really useful.